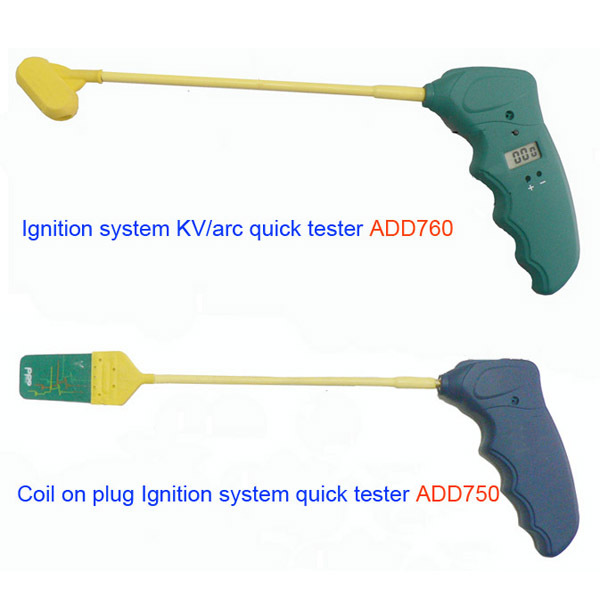 KV value of the secondary ignition and compare peak kV, or verify the proper firing of the secondary ignition system. Each time the tester detects a spark firing, it will flash the Super Bright LED strobe indicating a spark-firing event with sufficient arc duration. 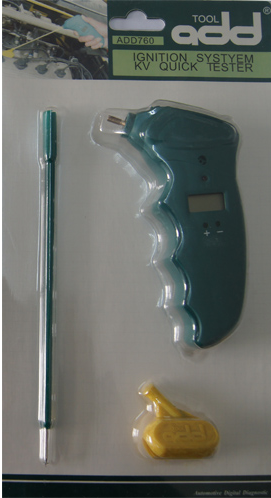 Then press the button and the unit measures and displays peak kV on the LCD display. not firing at all. Indicates spark polarity on DIS systems. Detect problems caused by faulty wires, plugs, cap, rotor, coil(s), etc. 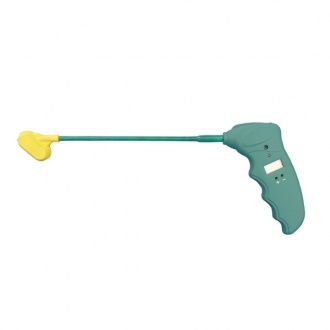 · To enter the Quick Check Mode, simply turn the tester on. The tester automatically enters this mode when it is powered on. · During this mode, the red and green LEDs alternately flash once every second until a spark is detected. 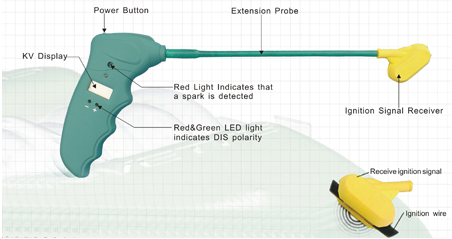 · Once a spark is detected, the Red LED light flashes and the red or the green LED lights to show the polarity. 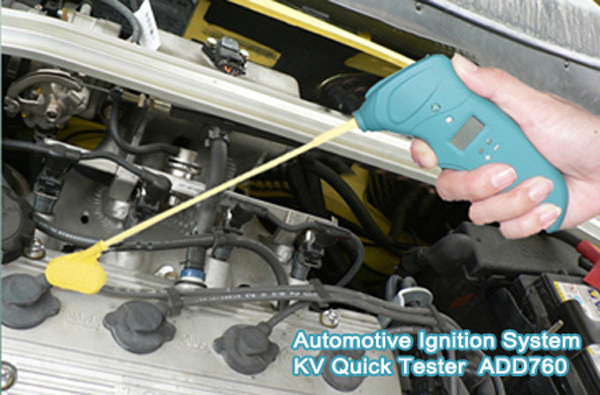 Notes: If the tester does not detect a spark after 30 seconds, it automatically turns off.